Musings + Tutorials – Page 2 – Paul Casper – Creator. Educator. Leader. This week, we had a fellow student of ours get Malware installed on their webserver. Our awesome hosts over at QTH.com caught it and deleted the install before others were infected. It turns out, weak login credentials and default email address usage was the way in. It was a good reminder on making sure to keep things as secure as possible. With wordpress being such a popular platform, it also makes it a popular target with the bad guys. They will always try to find a way in, but let’s not make it any easier for them. The following post will walk you through the steps of helping to minimize the risks. The most effective way to stop a bad guy from accessing a WordPress site is to delete the install if it isn’t needed. If we have any test installs or old staging environments that are no longer being used, get rid of them, ASAP. 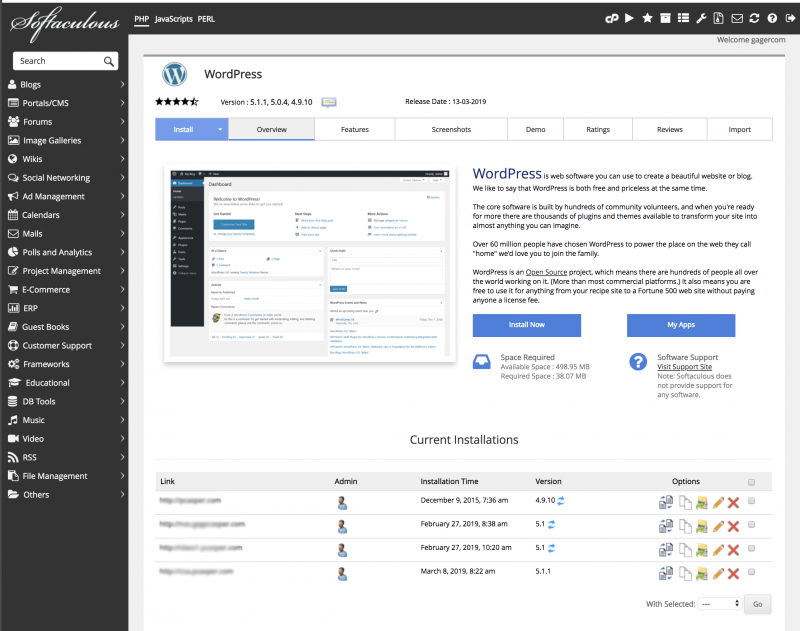 Scroll down to see your WordPress Installs. Click the big Red “X” next to the installs you no longer need. On the next screen, confirm the uninstall. If you need to keep your install, but used a weak password and/or default email address during the install process update those credentials. On the dashboard click on the Users Tab. Scroll down to the email form element. The email can be used in place of a username during login, so if this looks like a default, bad guys can figure it out easily. You should update it to your real email address. Click Generate password and remember what they generate for you, or update it to the password of your choice. 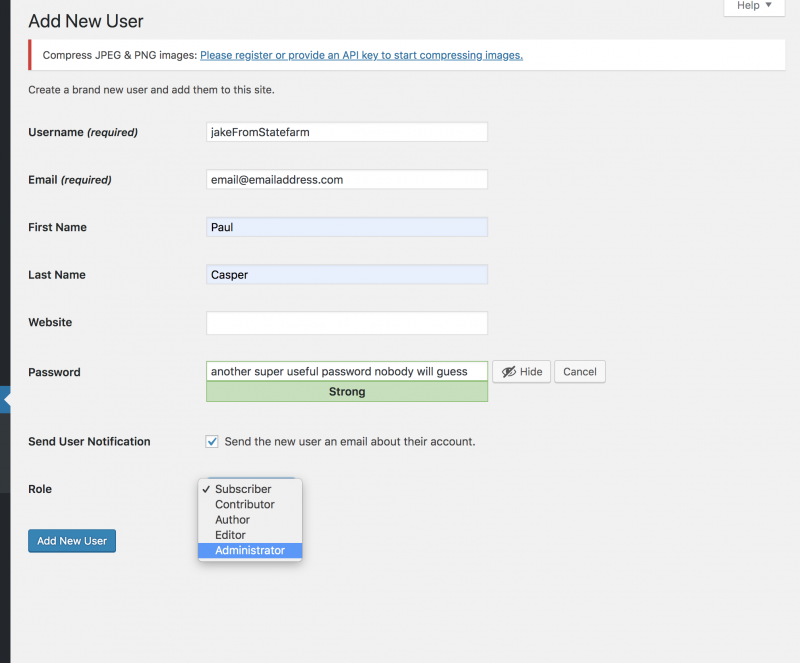 WordPress doesn’t let you change the name of usernames. So if you want a more unique username, just create a new user with an administrator role, and delete the original. 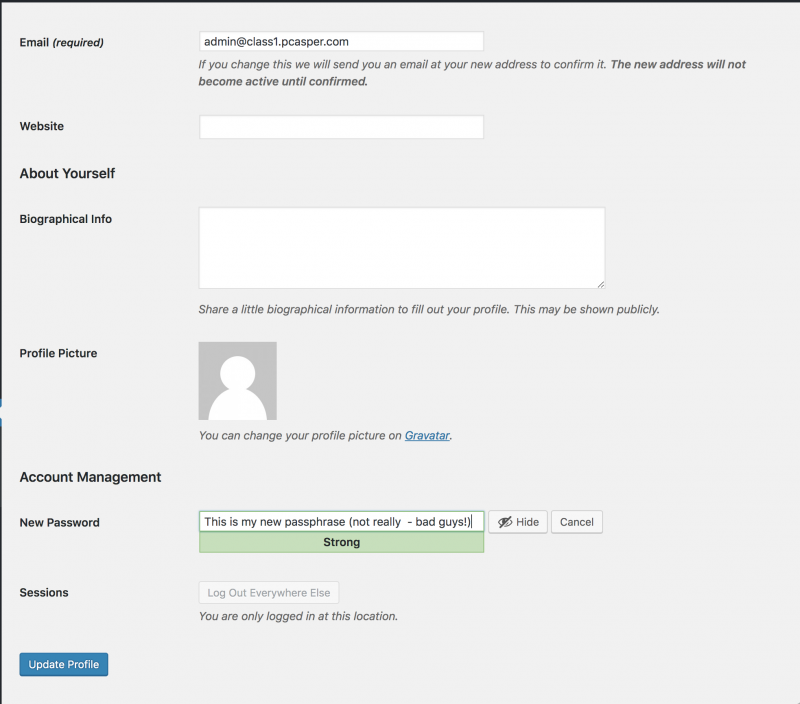 This also lets you add a new password and email address at the same time. Fill out the credentials of the new user. With the new user added, go to the upper right hand corner and logout of the current session. Since you can’t delete yourself, you have to log back in as the new user that was just created. There will always be bad guys trying to do bad stuff with our tech. As long as the popularity of WordPress remains high, so too does the incentive of these bad guys to try to break into our sites. In addition to the steps above, you will want to make sure to update your themes and plugins in a timely manner. Just make sure to back-up your site and to check compatibility before doing so.